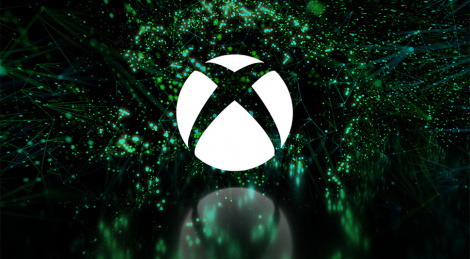 Let's forget what happened yesterday, the first E3 conference is today at 01:00 PM PDT/10:00 PM CEST with Micrsoft's Xbox briefing. You can expect 15 world premieres at the Mictosoft Theater. Live streaming inside. Hopefully they don't start every single trailer/video with a big voice saying "CONSOLE LAUNCH EXCLUSIVE". Well if they are listening to anybody they won't hopefully. i'd love that the new dark souls to be exclusive, just for the tears. even if it meant i didn't get to play it right now, lol. I'm expecting something a lot like last year. Quite a lot of third party reveals made to sound exclusive that I'll ultimately end up buying on PS4. Hopefully we get some legit first party reveals too that are set to release some time this gen. Mainly in for the fable reboot rumours, I just hope it isn't some GaaS monstrosity. I can’t wait to see how good some of these 3rd party games look on the one X. Battlefield V is going to look amazing. Forza too of course. I hope the next halo really builds on the one x potential. They woin't look much different on X since the games have to come to standard Xbone too. Games will look practically the same with the same animations and physics engines but at a higher resolution. We've been through this since Scorpio's reveal at E3 2016. My bad, I was wrong. This year it just says obnoxiously "EXCLUSIVE" at the start of everything even when it is a timed exclusive. Microsoft's E3 2018 conference is one of the best conferences ever. Truly epic and that moment at the end was just simply legendary! Bravo, Microsoft. Bravo!!! It did exactly what I said it was going to. It revealed a bunch of third party games I won't be playing on Xbox. There weren't many exclusives shown but they at least have bought a bunch of hit and miss studios that could result in something decent next gen some time. Its a step in the right direction assuming they really push money into those studios. Aside from playground games who where loyal to MS anyway, the others where all -50 Dev teams. They need the funding to grow before they're going to be knocking out the next gears of war or halo. Great to see they have more studios under their belt though. the entire time I thought they gonna do a massive squad-based BFV multiplayer with all those consoles. did they change the look of characters for DMC5? Really? All I saw were Halo, gears, Forza and games I'll play on PS4. Promises are promises. Talk is cheap.